A homeless man begs for money on a street in Sydney in 2014. 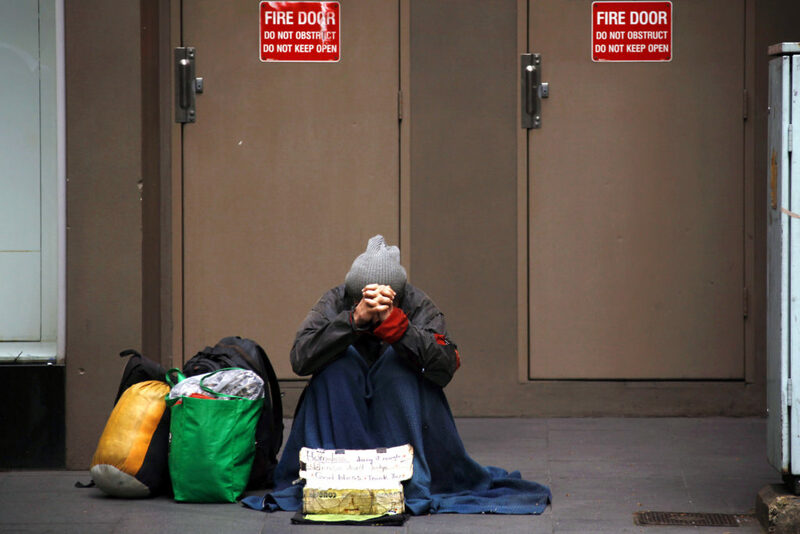 While Australia has one of the world’s highest levels of average net wealth per person, nearly three million Australians, including more than 730,000 children, live in poverty. Photo: CNS/David Gray, Reuters.